A Vamplet pagbaba Eclipse. Lily Rose pagbaba Eclipse, determined to find the baby Vampire. 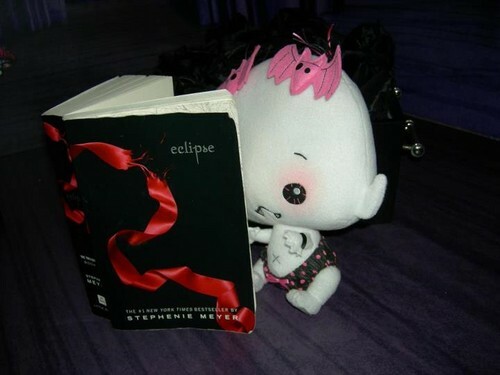 HD Wallpaper and background images in the serye ng takip-silim club tagged: twilight saga eclipse book vamplet lily rose reading doll renesmee. This serye ng takip-silim photo might contain sign, poster, teksto, and pisara.